A former municipal enforcement officer says his 2014 complaint about alleged bullying and juvenile behaviour went nowhere; city says 'appropriate steps' were taken. A policy the City of Yellowknife introduced two months ago to protect whistleblowers comes too late for a former member of the municipal enforcement division who complained about his boss. 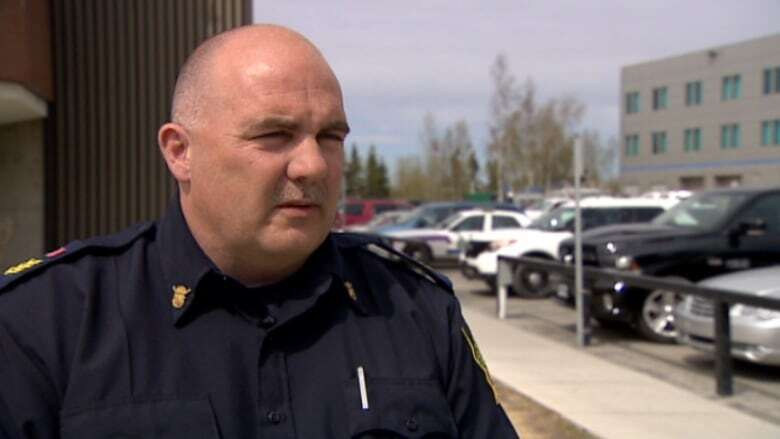 In his 2014 complaint, Shayne Pierson accused municipal enforcement manager Doug Gillard of bullying and humiliating behaviour toward staff, including hitting officers in the groin, spitting on his hand and rubbing it on their sunglasses, and openly making crude sexual comments about female city employees. 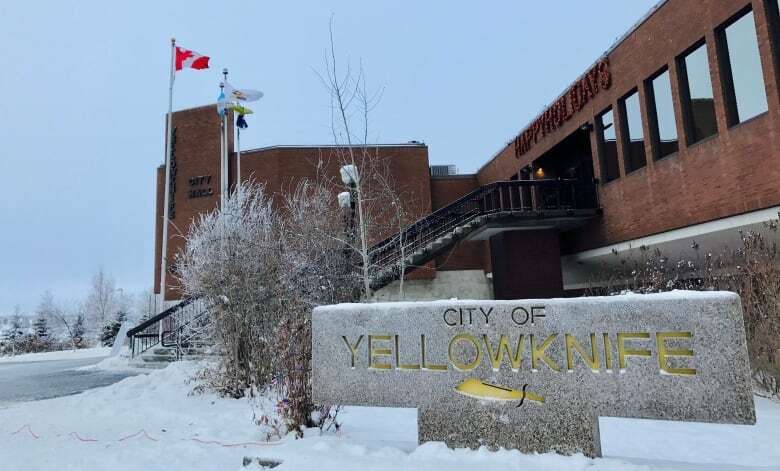 The City of Yellowknife says it conducted a formal investigation of the complaints and took "appropriate steps" to address them, though it would not specify what those steps were. Gillard remains manager of municipal enforcement. Pierson says he got an entirely different message from the city about the outcome of the investigation. 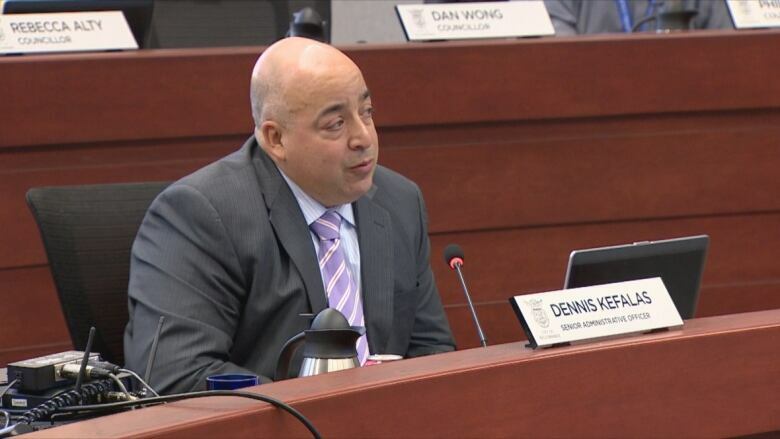 He said almost a year after making the complaint, and numerous attempts to find out what the results of the investigation were, he was told by the senior administrative officer at the time, Dennis Kefalas, his complaints were found to be groundless. And Pierson says he did not include one serious allegation — that Gillard used security cameras designed to keep an eye on city facilities to eye women he found attractive. Pierson and other former officers, who did not want to speak out publicly, said Gillard would use the zoom and pan controls on a computer in his office and invite officers to look at the women. "I'm guilty of that, I went with it the first couple of times, because I was trying to fit in," said Pierson. "But then I stepped back and I said, 'This isn't right. What if it was my daughter?' My conscience started sinking in and I said I'm not going to go with this anymore. That's when things started falling apart." Pierson was fired in the spring of 2014. He says it came after a year of being a target for harassment by Gillard. Pierson says he was reprimanded for not meeting parking and traffic ticket quotas, but admits that he gave them at least one reason to fire him. In frustration, he says he jokingly suggested, in the presence of another officer, he should urinate on the senior officers' patrol car. He said he was also reprimanded for damaging a vehicle after accidentally spinning the wheels on ice. CBC's requests for an interview on the complaint and the investigation of it were turned down. All questions had to be sent to the city's director of communications. Gillard himself did not return phone messages left by CBC. Asked specifically about the use of security cameras, the City said it and Gillard are aware of that allegation, and that it has been dealt with. Pierson's complaint came at a time when the city was in court fighting a wrongful dismissal lawsuit by another former municipal enforcement officer, Doug Norrad. Like Pierson, Norrad alleged he was the target of harassment in the division. In court documents, he said Gillard initiated an RCMP investigation of him, alleging that Norrad had stolen money from parking meters. In a sworn affidavit in that case, the RCMP officer who oversaw the investigation said not only did they find no evidence Norrad had stolen money, there was no evidence any money had gone missing. Norrad sued after the city refused to apologize for accusing him of the theft. The city disputed Norrad's claims but the case was settled out of court. Norrad says he can't talk about the settlement because he signed a non-disclosure agreement. Pierson's complaint, filed in May 2014, was investigated by Michelle Theriault, a junior lawyer at McLennan Ross LLP, a law firm the city used regularly. Theriault reported to Kefalas, who according to emails obtained by CBC, socialized with Gillard. "That was an issue right from day one," said Pierson. In an email sent a month after Pierson made his complaint, Kefalas updated councillors on the investigation, saying once it was completed, Theriault would write a report, including her findings and recommendations, but said he did not know when that would be. But according to Deputy Mayor Adrian Bell, who introduced the city's new whistleblower policy, to protect the privacy of any employee being investigated, councillors were never shown that report. Bell says elected city officials are never shown reports on staff investigations. Coun. Niels Konge said all councillors were told only that there was a complaint and that it was investigated and dealt with. According to other internal city emails, at the end of October 2014, four months after making his complaint, Pierson emailed Theriault and Yellowknife Mayor Mark Heyck asking what was going on with the investigation. Kefalas responded by email the next day, saying a report on the investigation had been completed. Kefalas did not provide any details of the findings or what actions were being taken as a result, but said he would call Pierson later that week to share them with him. The "appropriate action" the city took appears to have been ordering Gillard to take sensitivity training and giving him a disciplinary letter, according to an email Kefalas sent to Theriault on the same day he told Pierson the investigation was complete. It read: " ... thank you for including the second to last paragraph regarding sensitivity training. I'm just having [the human resources director] revise the letter of discipline based on your opinion. The plan is to give it to Doug Gillard tomorrow." Almost a year after he filed his complaint, Pierson was still emailing both Mayor Heyck and Kefalas, looking for some explanation for what the outcome of it was. In a response emailed to Pierson in June 2015, Kefalas says, "I took your complaint very seriously and had a third party complete a thorough investigation and this third party found your complaints unfounded. I informed you of the findings in a phone conversation." The next day, when Pierson persisted, Kefalas responded, "If you continue to harass me with these delusional emails I will be contacting your currently [sic] employer." Other internal emails show that, while overseeing the investigation of Pierson's complaints, Kefalas was very concerned about another work environment he described as "poisoned" — the one he said he and other senior managers were enduring at city hall. Kefalas emailed council in July 2014 reminding them they are required by law to provide staff with a workplace environment free of harassment, and that allowing individuals to openly criticize senior staff in public meetings was contrary to that policy. Two months later, in another email, Kefalas took it up with a senior lawyer at McLennan Ross. "I understand as we all do that criticism is part of the job but there is a point when the criticism becomes bullying or harassment … I'm preparing a list of what council has done, how they have targeted certain members of staff and how they have allowed or encouraged attacks from residents because they believe it's open season when it comes to administration." Kefalas asked other city managers to document instances of what they perceived as harassment. Kefalas has since moved, at his own request according to the city, from senior administrative officer back to the job he held before he took that position, director of public works.